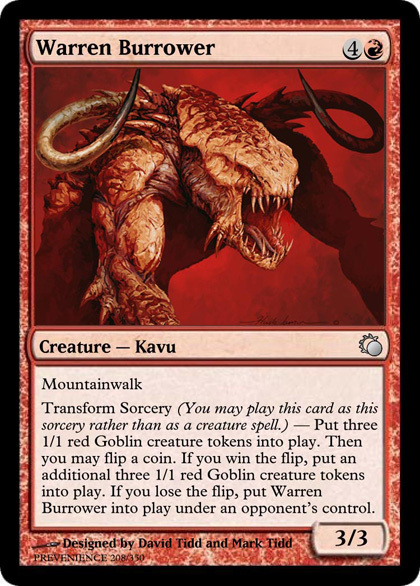 Alluvial Kavu Creature – Kavu : Target land becomes an Island or a Plains until end of turn. 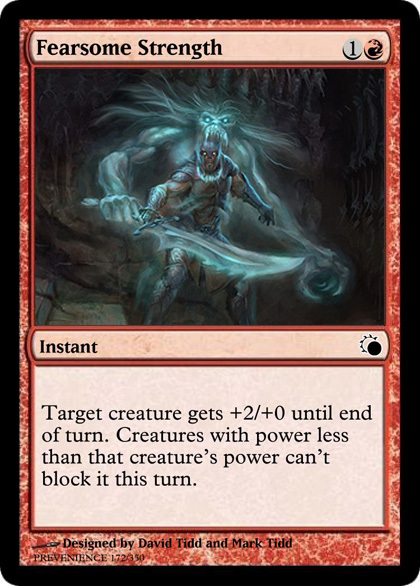 Bajada Moongazer Creature - Yeti : Target spell becomes colorless. 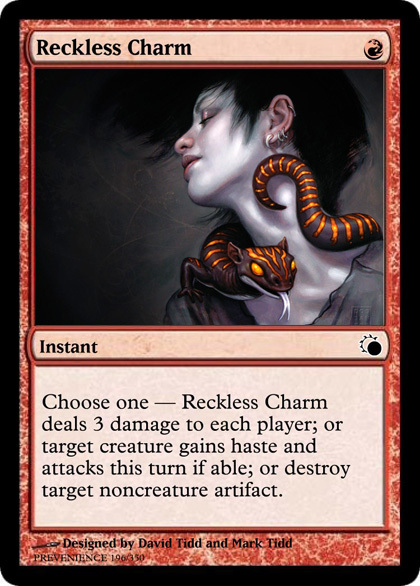 : All permanents become colorless until end of turn. 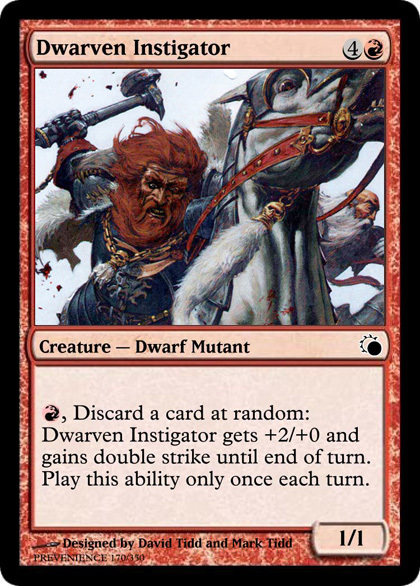 Balduvian Quartermaster Creature – Human Warrior Whenever a creature becomes blocked by a creature with lesser power, destroy the blocking creature. 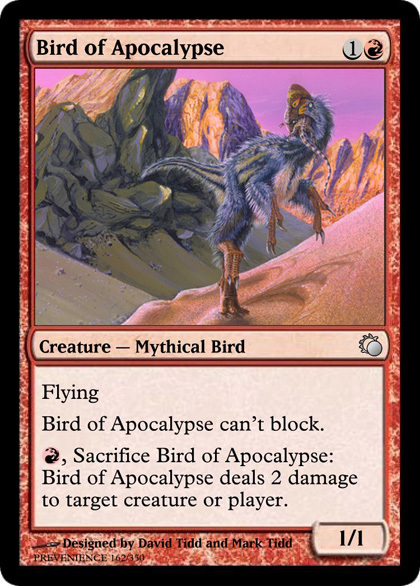 Bird of Apocalypse can’t block. 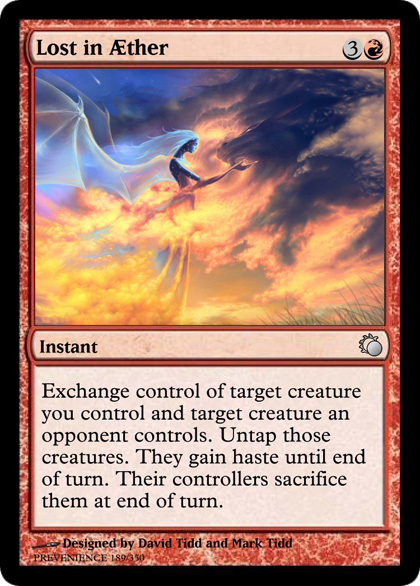 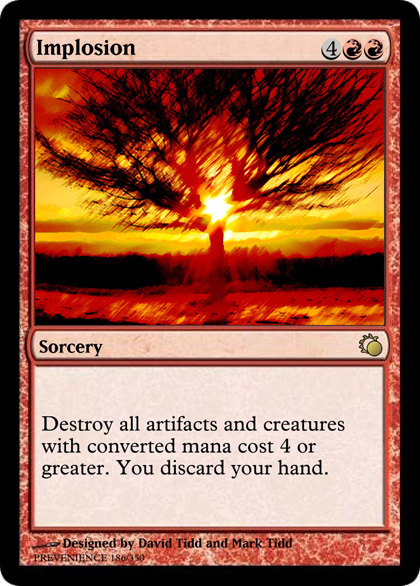 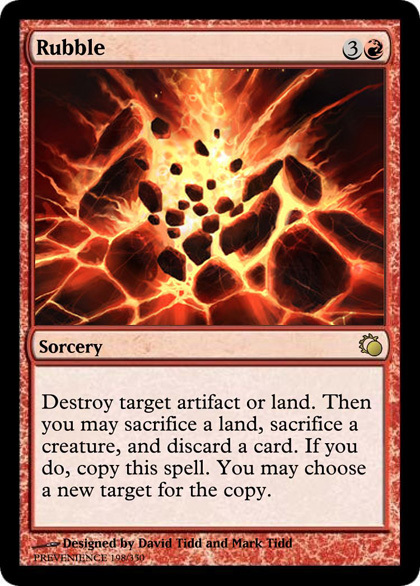 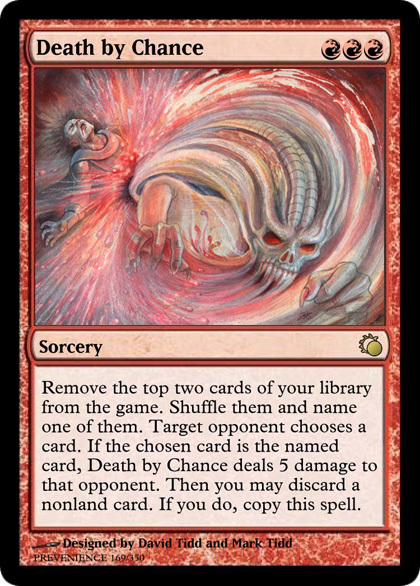 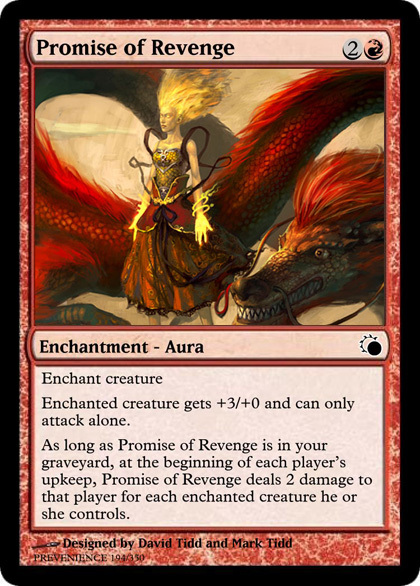 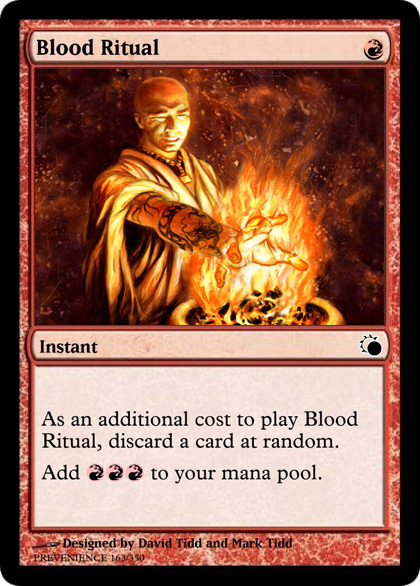 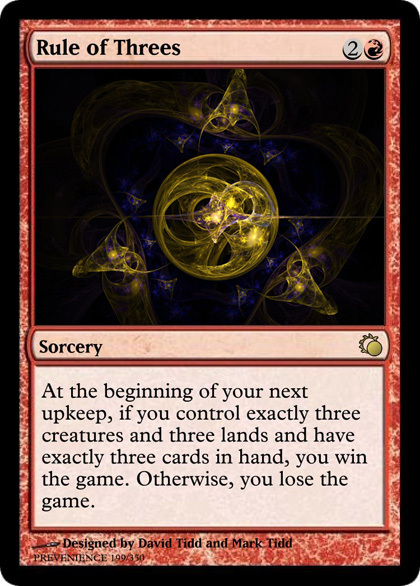 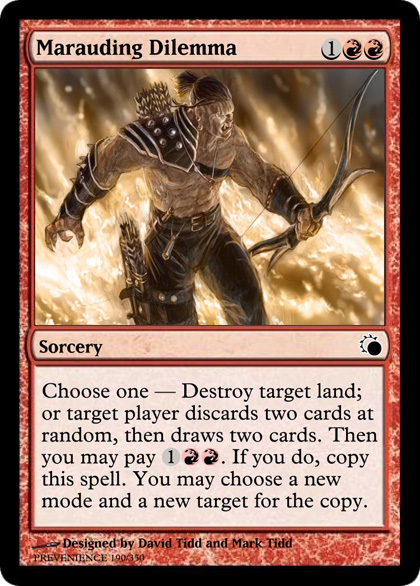 Blood Ritual Instant As an additional cost to play Blood Ritual, discard a card at random. 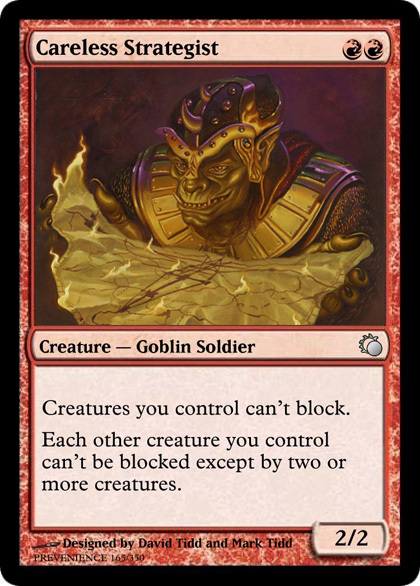 Careless Strategist Creature — Goblin Soldier Creatures you control can’t block. 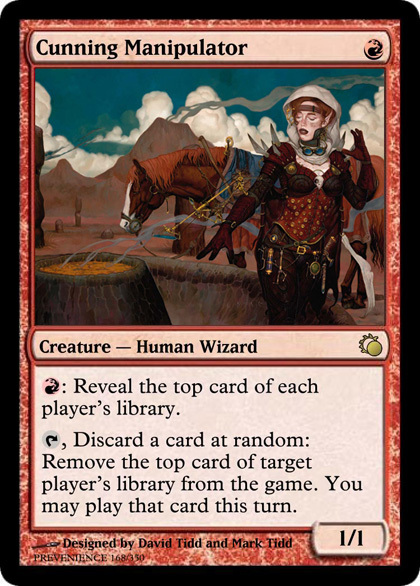 Cunning Manipulator Creature — Human Wizard : Reveal the top card of each player’s library. 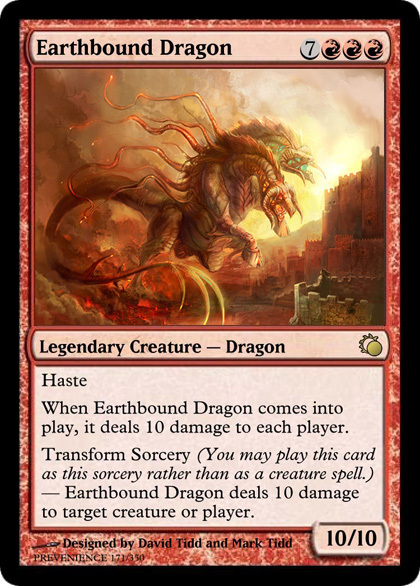 When Earthbound Dragon comes into play, it deals 10 damage to each player. 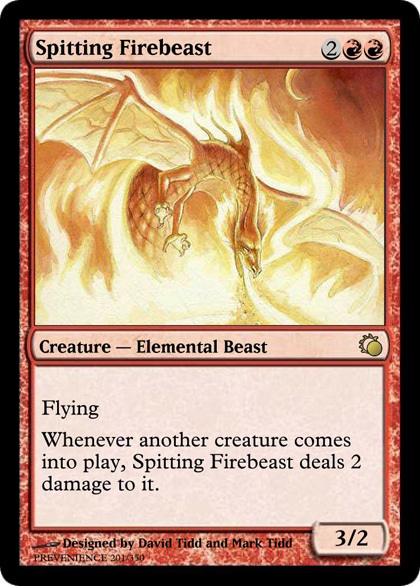 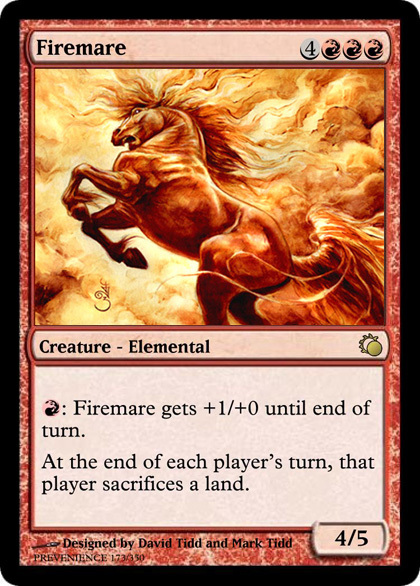 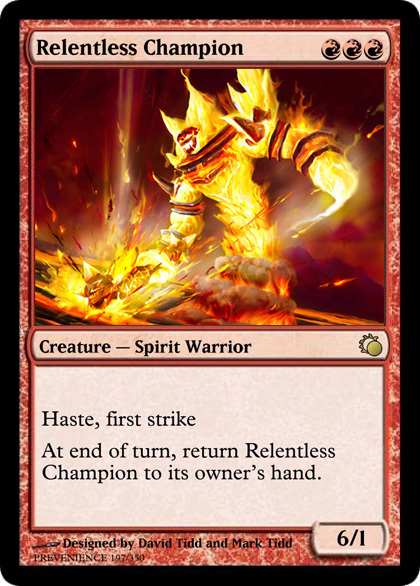 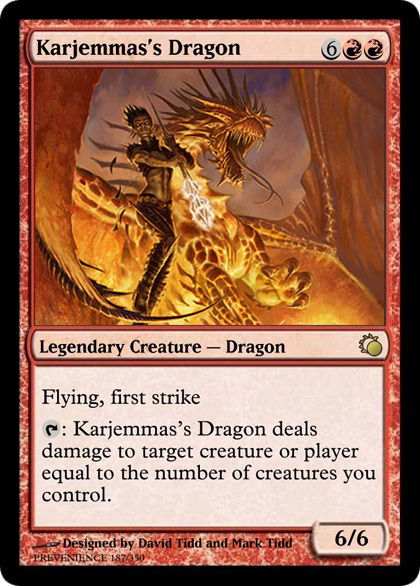 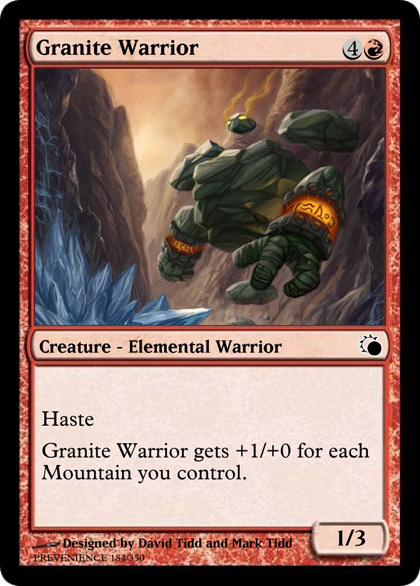 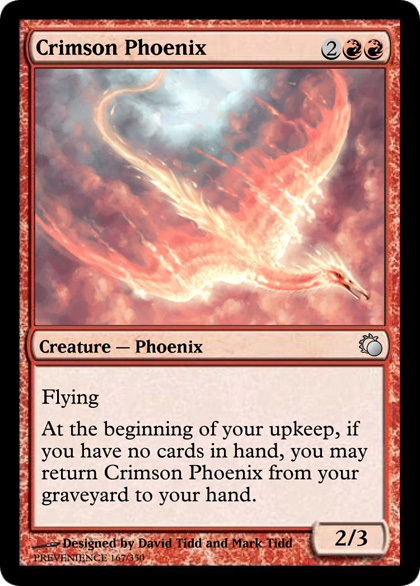 Firemare Creature - Elemental : Firemare gets +1/+0 until end of turn. 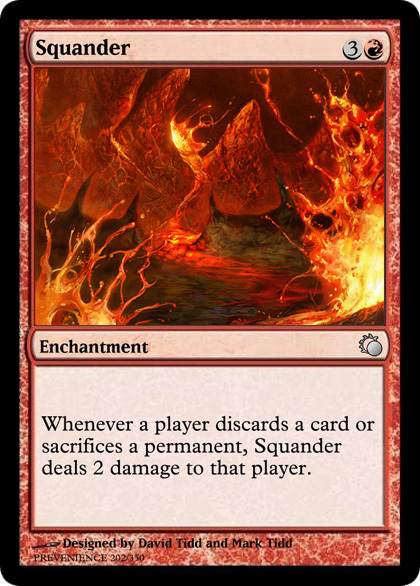 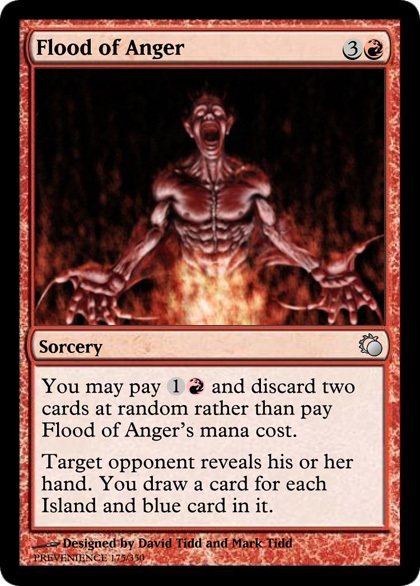 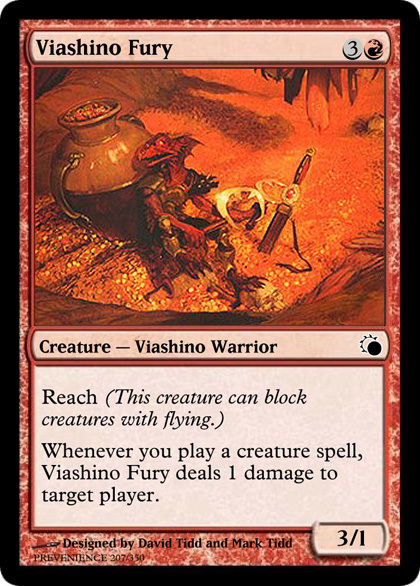 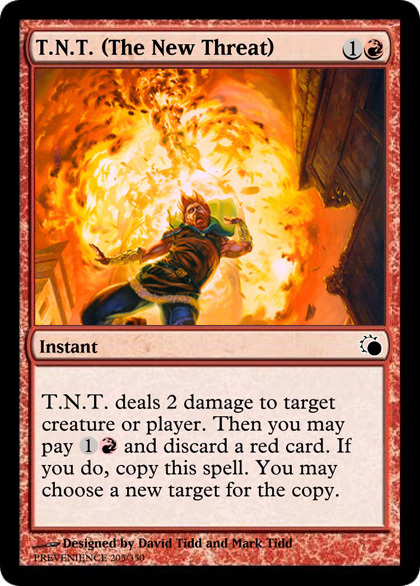 Flood of Anger Sorcery You may pay and discard two cards at random rather than pay Flood of Anger’s mana cost. 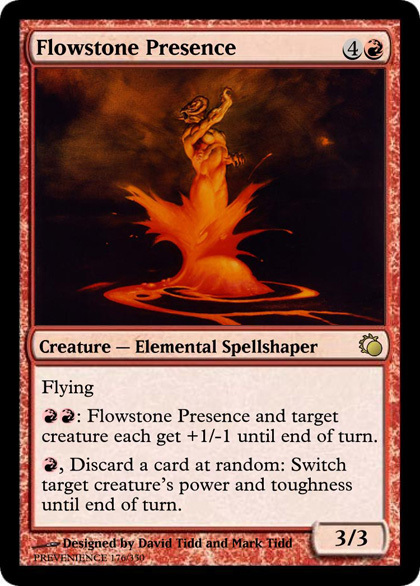 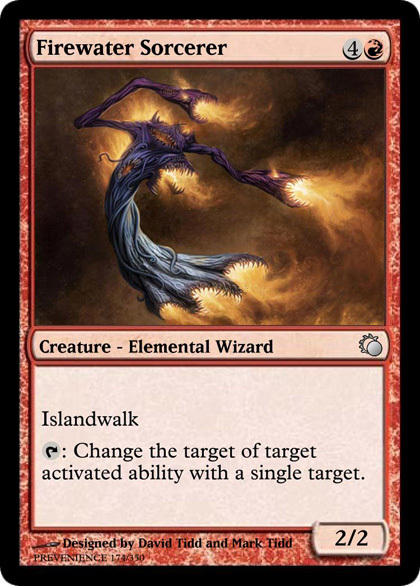 : Flowstone Presence and target creature each get +1/-1 until end of turn. 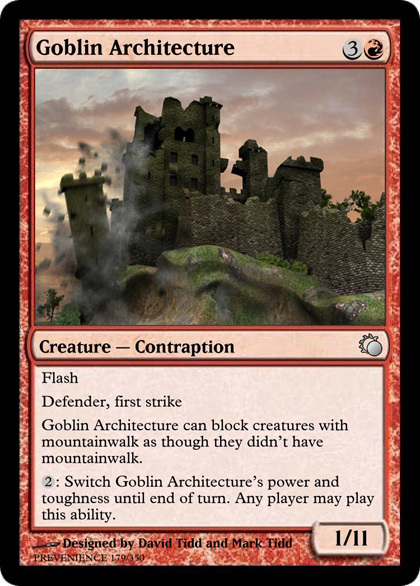 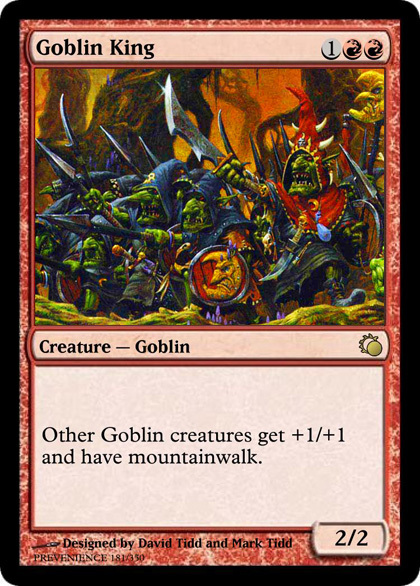 Goblin Architecture can block creatures with mountainwalk as though they didn’t have mountainwalk. 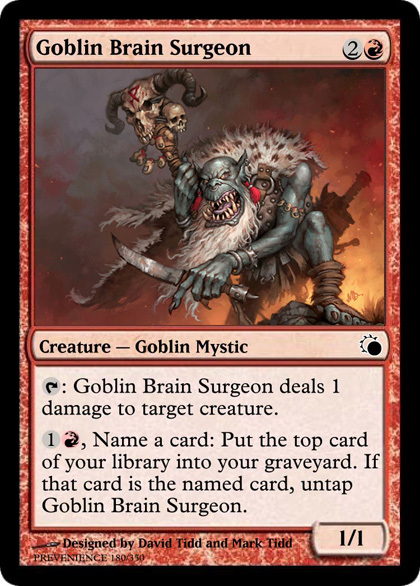 Goblin Brain Surgeon Creature – Goblin Mystic : Goblin Brain Surgeon deals 1 damage to target creature. 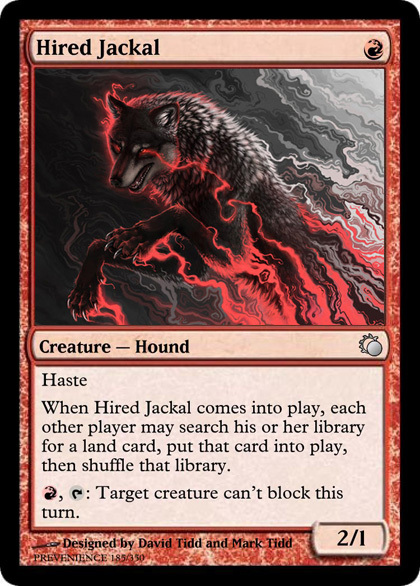 When Hired Jackal comes into play, each other player may search his or her library for a land card, put that card into play, then shuffle that library. 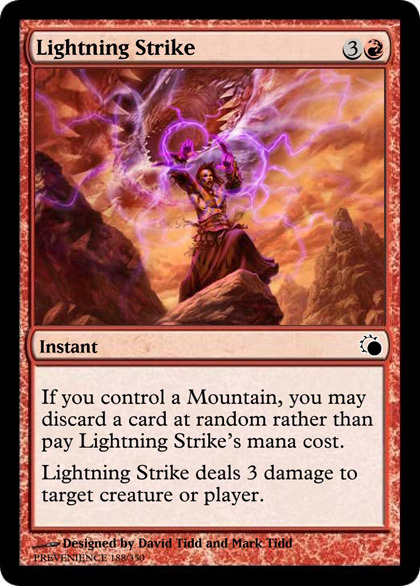 Lightning Strike Instant If you control a Mountain, you may discard a card at random rather than pay Lightning Strike’s mana cost. 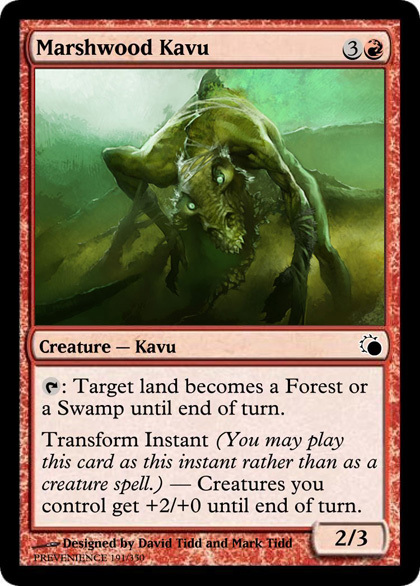 Marshwood Kavu Creature – Kavu : Target land becomes a Forest or a Swamp until end of turn. 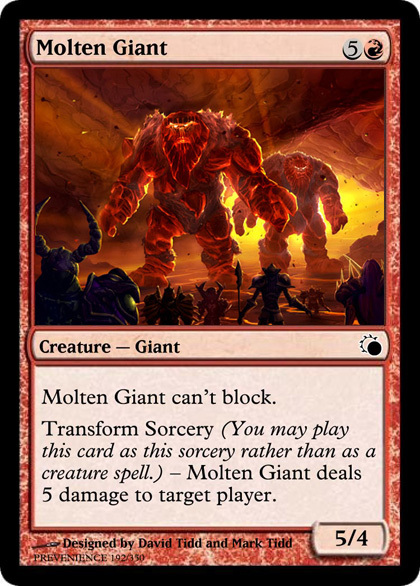 Molten Giant Creature – Giant Molten Giant can’t block. 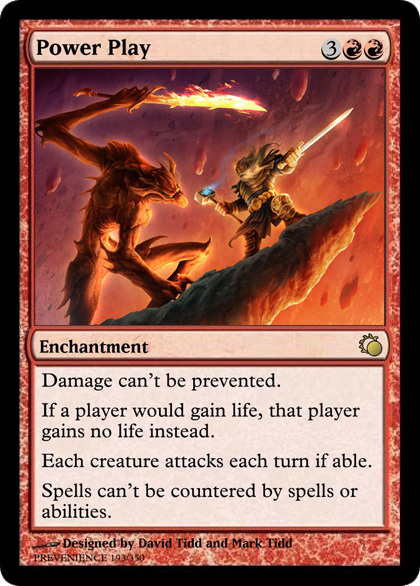 Power Play Enchantment Damage can’t be prevented. 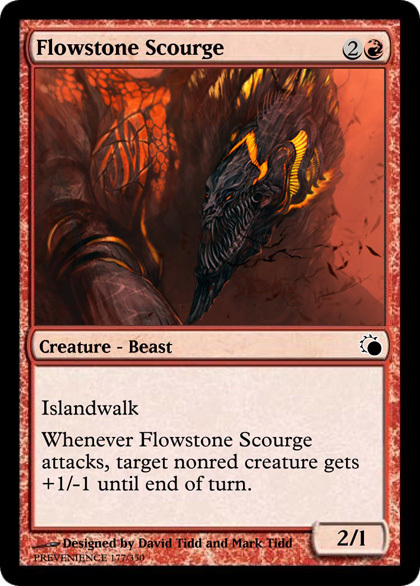 Each creature attacks each turn if able. 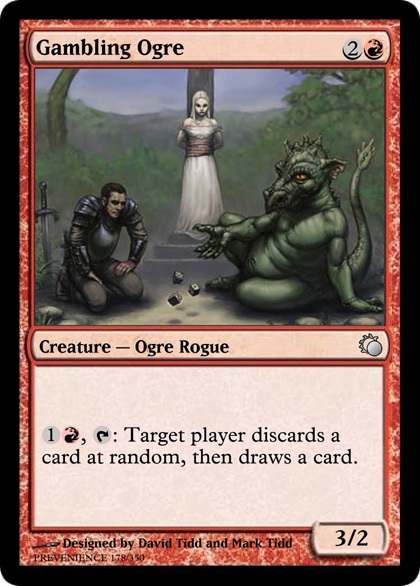 Enchanted creature gets +3/+0 and can only attack alone. 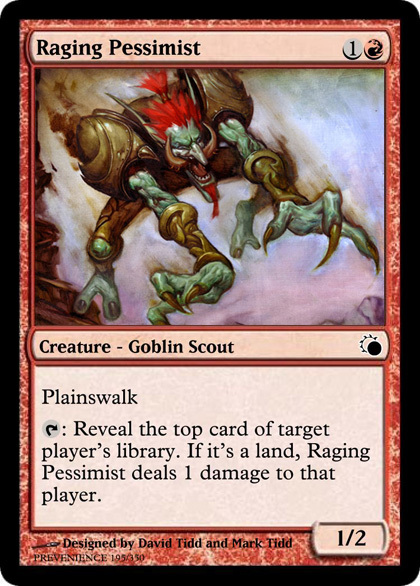 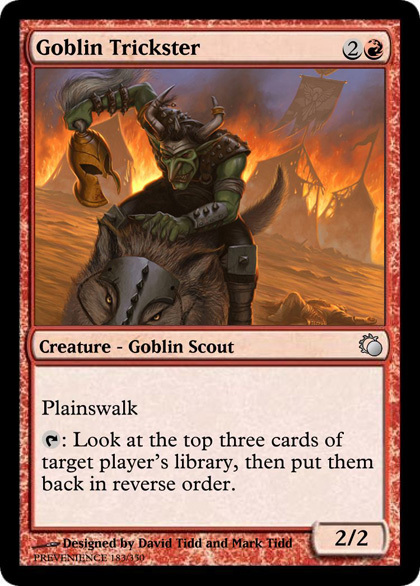 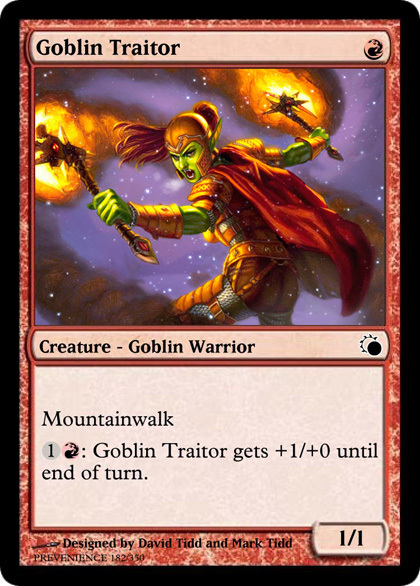 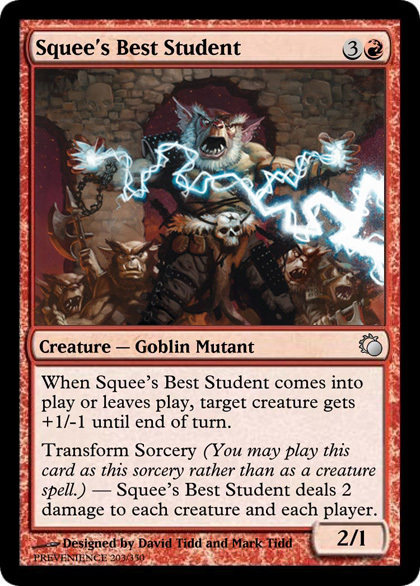 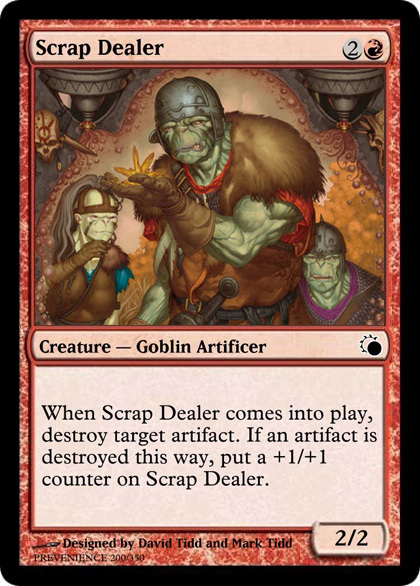 Squee’s Best Student Creature – Goblin Mutant When Squee’s Best Student comes into play or leaves play, target creature gets +1/-1 until end of turn. 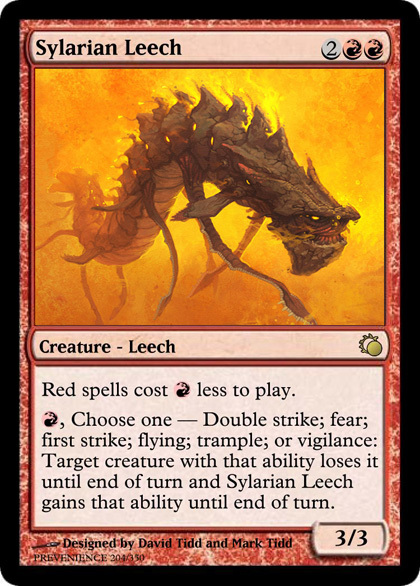 Sylarian Leech Creature - Leech Red spells cost less to play. 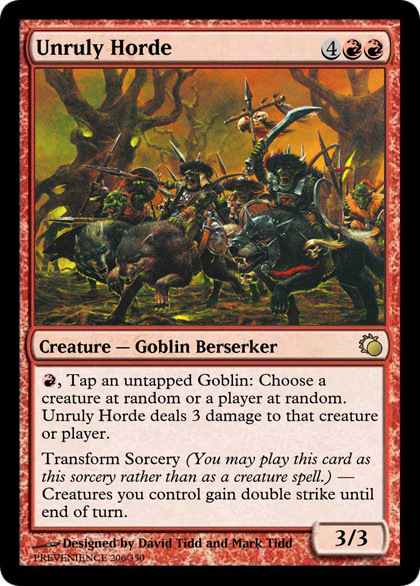 Unruly Horde Creature – Goblin Berserker , Tap an untapped Goblin: Choose a creature at random or a player at random. 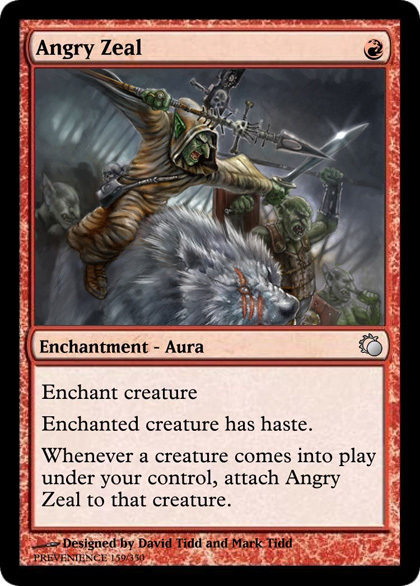 Unruly Horde deals 3 damage to that creature or player.